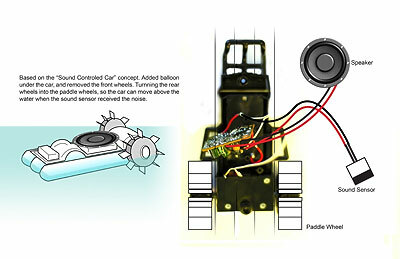 Just a drawing showing how the car works with the pneumatic structure. The car is linked to pneumatic tubes with fishing line, so when car running circle round inside the ring, then whole structure shakes and tilts. This is the artist Theo Jansen‘s work “de Animaris Rhinoceros Transport” which is amazing. 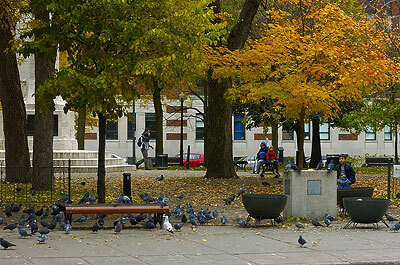 We have a workshop in Montreal with RPI students at Concordia University from October 19-21. 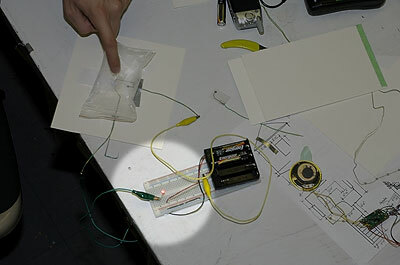 Incorporating our electronic stuff with their pneumatic structure was quite fun, but tired. It is a really great experience working with people from other place, but costed lot of money doing the workshop at Montreal though. It was raining and cloudy during this trip in Montreal. Rain wets my coat and camera bag when I walking on the street, and I was so worry that the humidity may causes my camera equipments getting fungus. 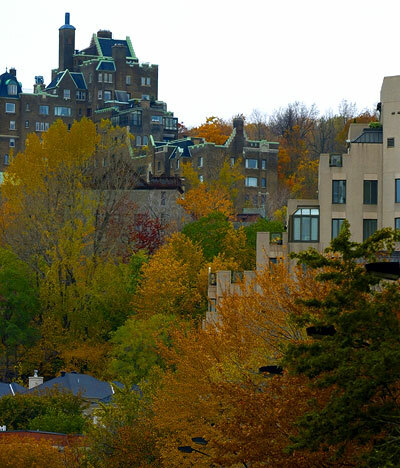 Snapping couple shots in Montreal with the fall color, although winter is coming. One day we will going to question ourself that are we dating a real people or a robat? Based on the “Sound Controled Car” concept. Added balloon under the car (incorporating with pneumatic structure), and removed the front wheels. Turnning the rear wheels into the paddle wheels, so the car can move above the water when the sound sensor received the noise. It worked! It worked very well! It is not too hard to combine those things together. But the tricky thing is the original remote car setting going backward, so I have to reverse the positive and negative poles on the motor. 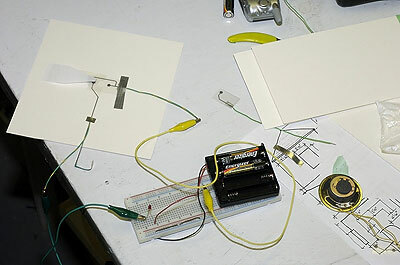 Next step, how to incorporate this with pneumatic structure?